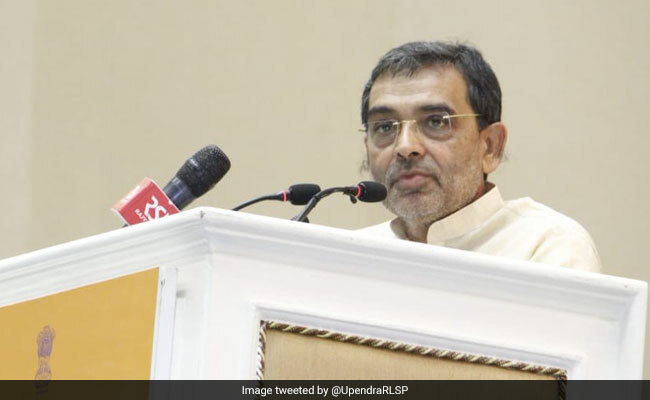 Deeply upset by the BJP's seat sharing formula in Bihar, ally Upendra Kushwaha has adopted what is practically a-jibe-a-day approach on Chief Minister Nitish Kumar. 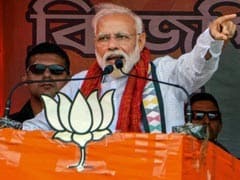 On Thursday, he used the police and administration to take on the Chief Minister, telling workers of his Rashtriya Lok Samata Party (RLSP) that the police will function properly "only when there's a change of government". Till then, the party workers should "grab the police by the neck" to make them work, he said, and then hastened to add, "only in constitutional ways". Provocative comments from Mr Kushwaha have been coming thick and fast. Over the last weeks, he has accused the Chief Minister of "blackmailing the BJP" to get an equal share of seats, demanded his DNA report and claimed Mr Kumar, "saturated with power", has decided to step down from the top post. The Chief Minister has refused to respond, indicating that it would give undeserved importance to the RLSP leader. But asked about Mr Kushwaha's claim about saturation during an interview, Mr Kumar suggested that the level of discussion not be lowered ("Baatchit ka star itna neeche mat giraeeye"). Mr Kushwaha's party took offense, claiming that the Chief Minister has been casting slurs at their leader. They also promised to hold a protest rally over the weekend. The Union minister demanded that Mr Kumar apologise, even if it be behind closed doors. At an event in Muzaffarpur, he further said, "Nitishji, you have said that you are my elder brother. Then why have you relegated me to this lowly station while you stand on a high pedestal saying that I am not worthy of comment?" Mr Kushwaha's grouse involves the two seats the BJP is understood to have reserved for his party, which, in 2014, won three seats. In contrast, a 50:50 formula has been offered to Nitish Kumar, who won only two seats in the same election. The exact numbers of seats are yet to be declared. Nitish Kumar's leaders have admitted that they are expecting Mr Kushwaha to eventually walk out, which might make fresh calculations necessary. The Union minister, however, has formally declared allegiance to Prime Minister Narendra Modi.